Modern science has verified what the ancients believed about one’s heart—that the heart is a center of higher wisdom. It can actually remember things and it functions much like the brain. The heart’s structure is similar to that of the brain: it has an intricate network of neurons, neurotransmitters, proteins, and support cells. “There is a brain in the heart, metaphorically speaking,” said Dr. Rollin McCraty of the HeartMath Institute, a non-profit that offers treatments based on the connection between heart and brain. “The heart contains neurons and ganglia that have the same function as those of the brain, such as memory. It’s an anatomical fact,” he said. “What people don’t know that well is that the heart actually sends more information to the brain [than the brain does to the heart],” he added. According to Harvard Medical School, chemical “conversations” between the heart and the brain affect both organs. Depression, stress, loneliness, a positive outlook, and other psychosocial factors influence the heart. 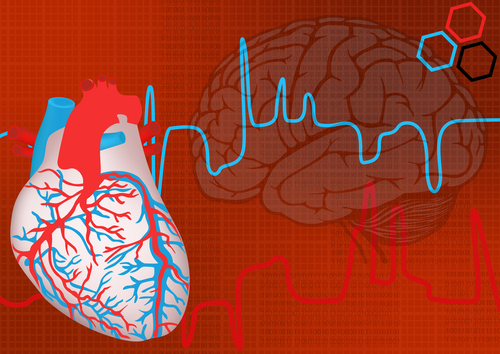 The health of the heart can also affect the brain and the mind. As neuro-cardiology (the study of the brain and heart connection) has developed, researchers have found that negative emotions throw both heart rhythms and brainwave patterns out of sync. Stress responses, for example, take a toll on the body, contributing to high blood pressure, the development of artery-clogging plaque, and brain changes that may contribute to anxiety and depression, according to Harvard Medical School. Conversely, when a person experiences positive emotions, heart rhythms and brainwave patterns are harmonious and coherent. The heart as an organ is linked to the concept of heart as an emotional center. The heart sends messages through physical pathways to the brain, which are then interpreted as emotion. While breathing deeply, the patient directs attention to the heart, which “shifts the physiology and facilitates changes in the body’s rhythms,” McCraty said. Heart and brain wave patterning has been measured to observe the effects of this technique, showing greater coherence.